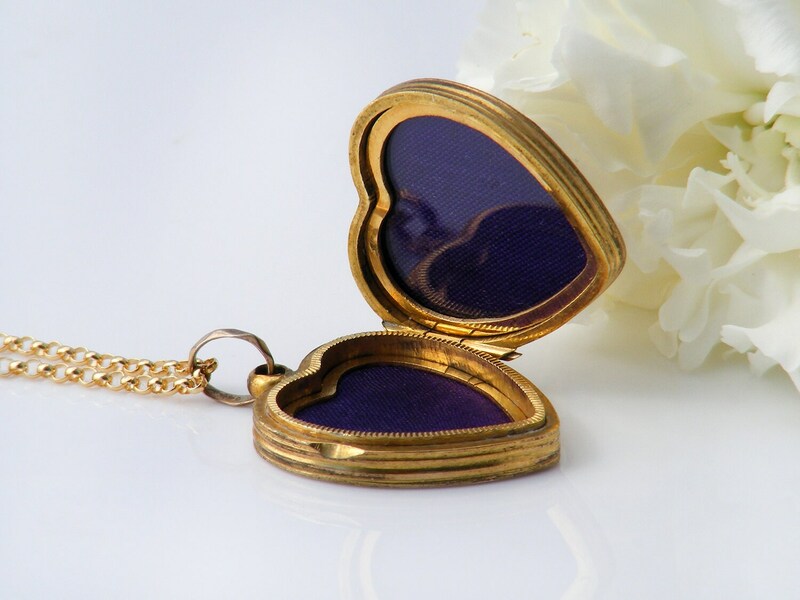 An elegant Victorian heart locket with beautifully hand chased Forget-Me-Not flowers and the lovely soft hue of old gold. 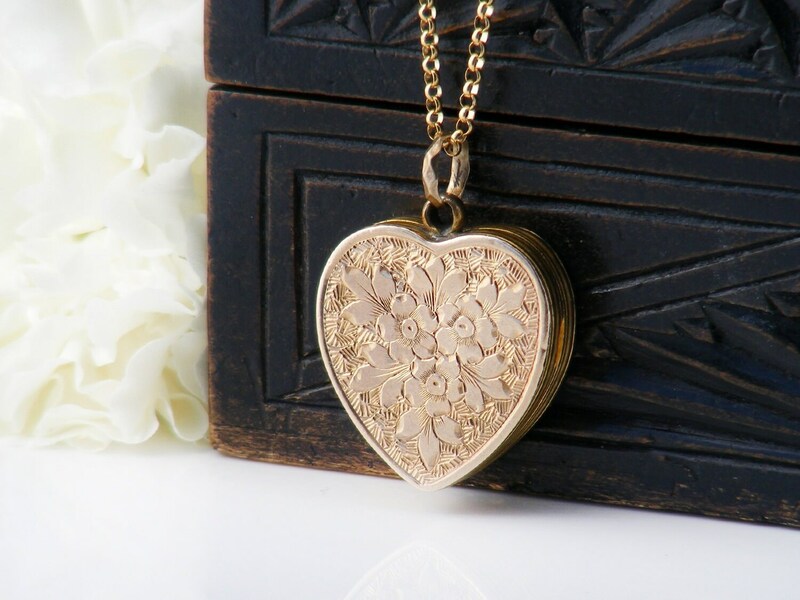 Ferns, flowers and a blank cartouche to one side; a classic Forget-Me-Not design to the other - the locket can be worn either way around. 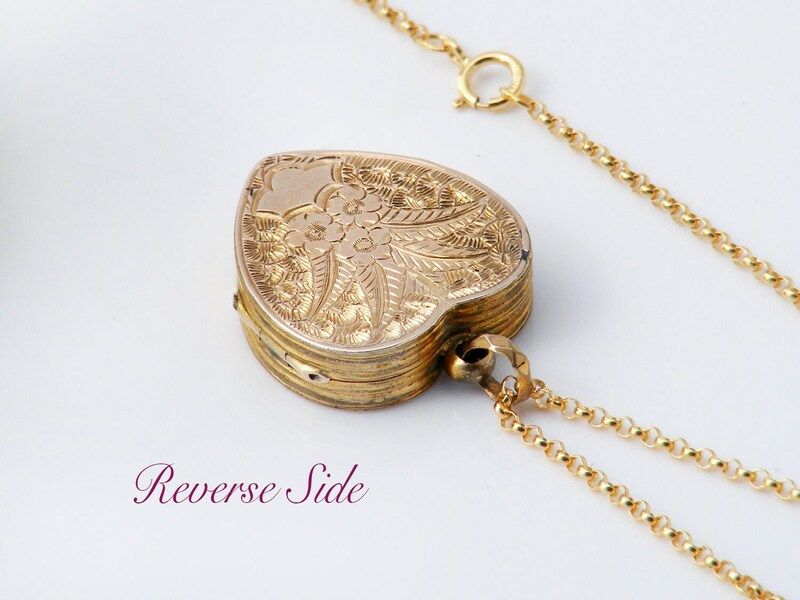 Yellow gold, there are no gold stamps, this is a 'Back & Front' locket; the outer covers are 9ct gold over a gilded metal frame for strength. Two heart shaped photo frames are in place on the inside both with the original purple papers and one with a glass cover. 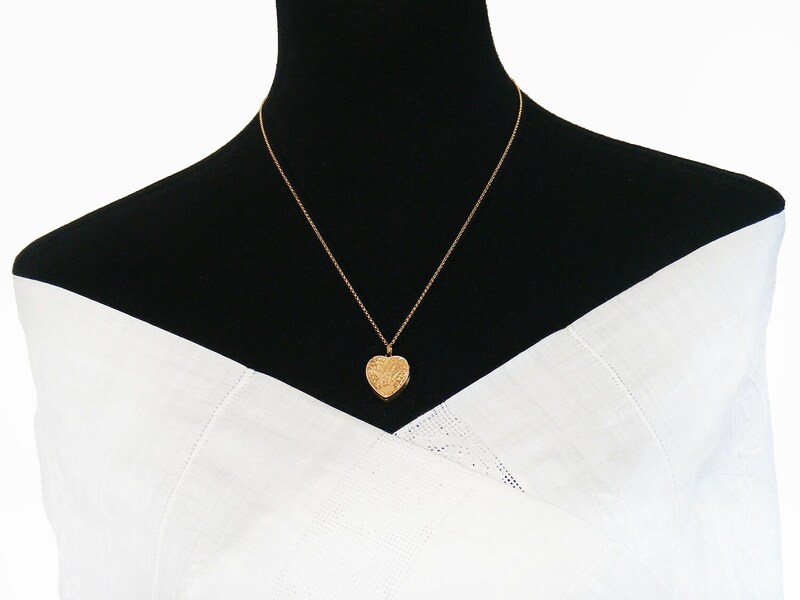 The locket is presented on a new 51cm or 20 inch chain, 14ct gold fill and stamped as such on the clasp. Photograph #4 shows the locket and chain on a life size torso. Very good. There is a tiny patch of missing gold (upper back left hand edge, seen in Reverse Side image) less than 1mm in size and looks like it has been gone for a very long time. The beautiful integral hinge is great and the locket perfectly with no gaps. 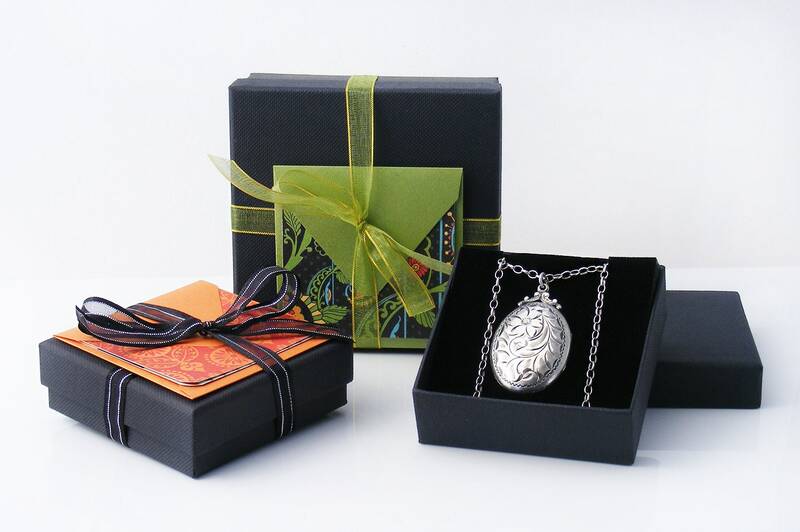 A very strong locket. 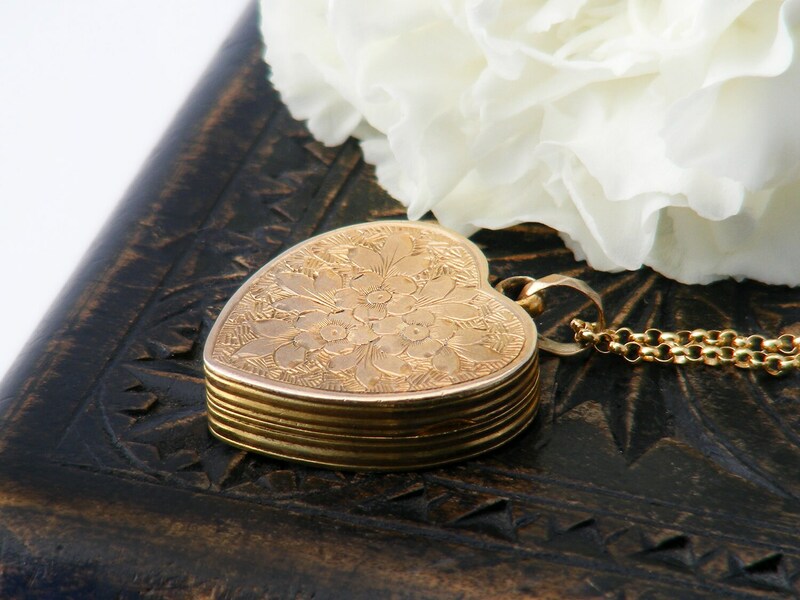 Difficult to find, I always keep an eye open for this style of Victorian locket - they are very well made and the chased patterns are so very beautiful.